Day 132 | Chubby For Life? The last couple days we’ve had heavy rain and the temperatures have dropped. Currently it is 40F and windy. There are only two seasons in Ohio, Winter and Summer. 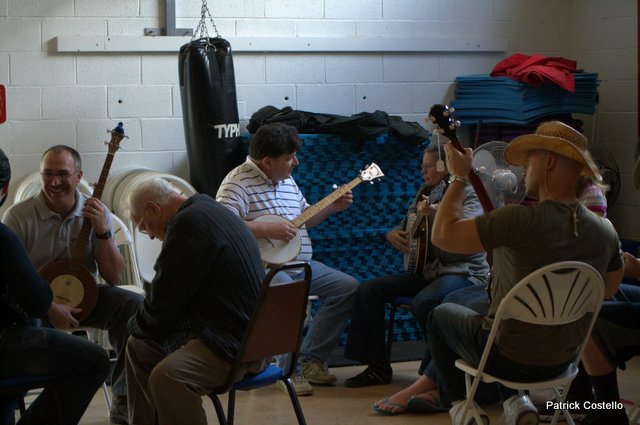 Yesterday I drove 257 miles to participate in a banjo workshop in Bedford, PA. I helped teach banjo and had a great time. Looking at the pictures I am still incredibly fat and have a long way to go.